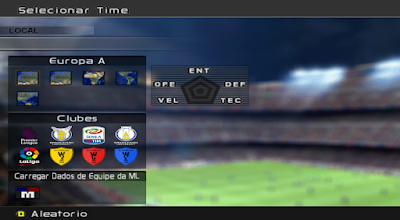 PES 6 Patch Master is a patch to update your Pro Evolution Soccer 6 game. The patch contain many new features including Latest transfers for 2016/2017 Winter Season. As you know, PES 6 still has their fans and become one of the best Pro Evolution Soccer game ever released. - Ready for 2016/2017 Season including latest transfers ! - New kits, boots and balls. - New graphic menu ! Important ! Make sure you don't have any patch installed in your PES 6 Game ! This patch doesn't compatible with any patches installed ! Extract the files directly or extract and copy to the game folder (ex: C: \ Program Files (x86) \ KONAMI \ Pro Evolution Soccer 6). Option File + Online: The instructions will appear in the text file that will appear after extraction. - Transfers Brazilian & European until 02/07/17.